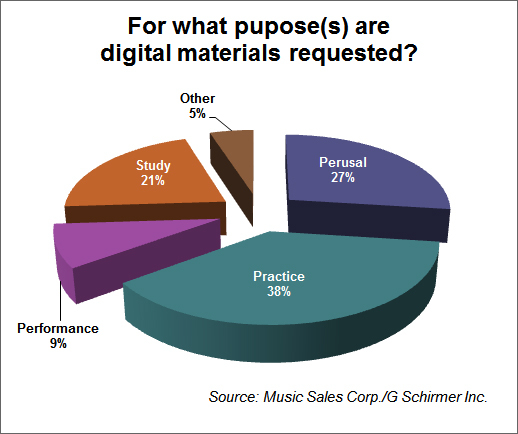 The demand for digital materials and distribution systems continues to rise, especially among musicians and music organizations, from chamber ensembles to orchestras, opera companies, and choruses. 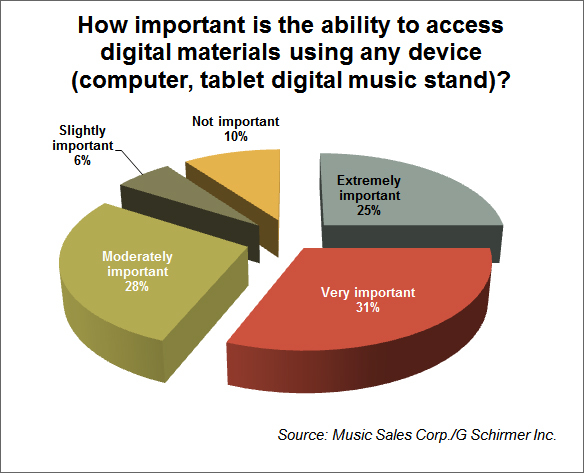 In an effort to get a sense of its customers specific needs in this area, Music Sales devised a survey to distribute among the 300 members of the Major Orchestra Librarians’ Association (MOLA). Our goal was (and still is) to create a cross-platform web application for secure digital delivery of copyrighted concert music materials, for use on tablet devices, laptops, desktops, digital music stands, etc. 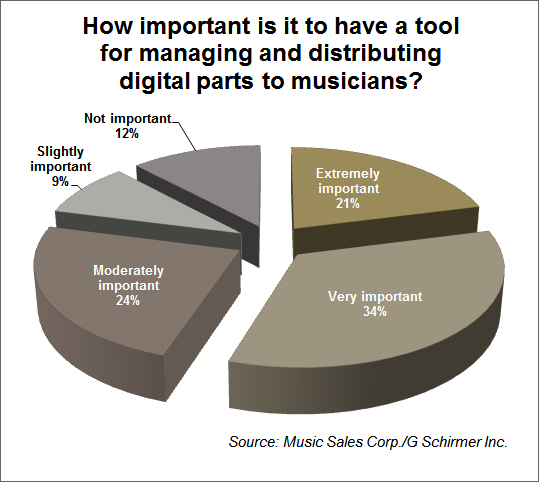 The respondents had confirmed that there was indeed a need for such a cross-platform distribution system, and that they are often approached by musicians requesting digital parts and scores. 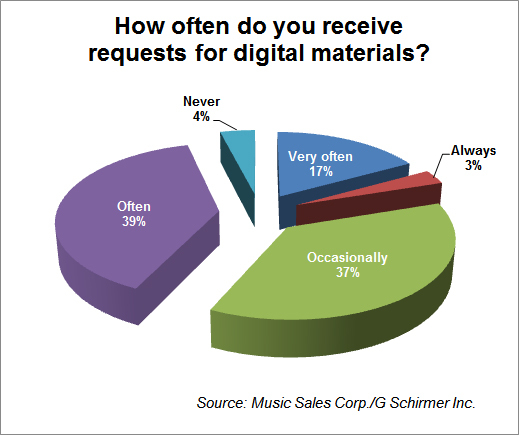 Their biggest concern was, if by delivering materials digitally, would publishers be transferring to them the responsibility of printing and binding materials? The answer is no, they will not be required to print but will have access to digital materials until physical sets arrive in the mail. 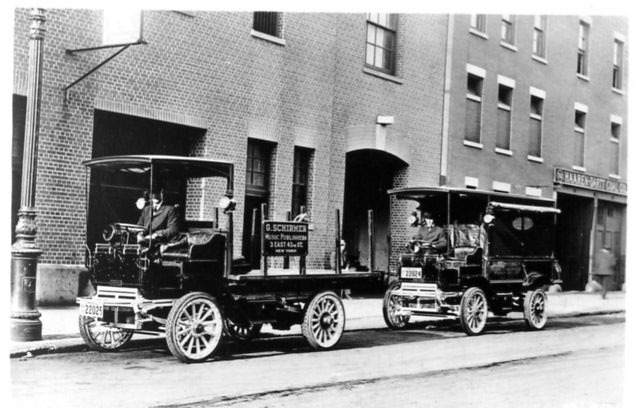 We are looking to extend the existing print model with access to digital rather than to invent a new one, and to improve it where technology allows, providing, for instance, alerts to revisions of already rented materials. After hearing this, anticipated resistance quickly dissolved. On the other hand, there were a few librarians who specifically inquired about the ability to print. As we are still in the process of formulating various access tiers, we are considering one that will include print capabilities as well. Whatever system publishers come up with, it is essential that it be universal. One doesn’t need to be a prophet to foretell the flop that multiple standards and solutions would be. Imagine how confusing and totally ineffective it would be, for example, if in order to play The Rite of Spring, an orchestra would need to download and install the free Boosey & Hawkes iPad app, and to play Mathis der Maler, the same orchestra would need to pull out of storage the Schott system (comprised of Android tablets connected to a Linux terminal) that they just recently purchased. Ouch. The new platform holds the potential of being not only a delivery mechanism, but also a powerful discovery tool where users can explore music that was tagged by others with programming parameters like mood, style, era, etc. 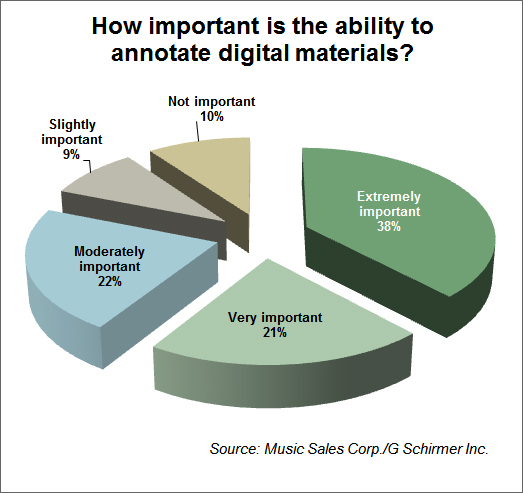 Easier access to performance materials will also be an invaluable tool for scholars, teachers, reviewers, and program-note annotators. It will improve the process of online grant and performance applications and offer a new and improved distribution channel, not just for the big players, but for smaller publishers and self-published composers as well. We have reached a critical mass—the point of no return for an expedition to explore our joint future of digital-delivery options for rehearsing and performing. 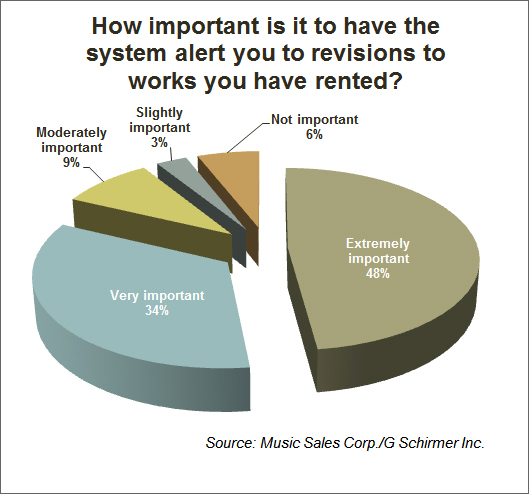 The following represents some of the results of a recent survey conducted among the members of the Major Orchestra Librarians’ Association. 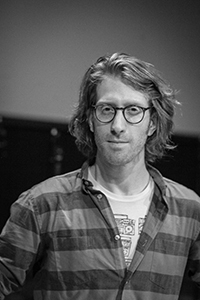 Guy Barash is a composer of contemporary concert music and a digital publishing specialist. As digital content manager and product owner for Music Sales Group, Barash leads the company’s digital initiatives, manages digital content production, and oversees development teams both in the New York City office and overseas.